When your new dog or puppy first gets home and he is first in his crate he might howl and cry wanting to get out. Expect this and restrain yourself. It is very natural for your dog to be out with you. Remember you need to let him know where his place is in the family unit. 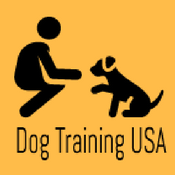 Crate training is the best way to house train your dog or puppy and if you let him out and allow him to free reign in your house be prepared for the mess that will surely happen.